Experienced IT pros are retiring in droves – but it’s not like you didn’t see this one coming. The problem, however, is that a lot of legacy skills are now leaving the workforce, never to be recovered. Namely, IBM i and AS/400 talent. 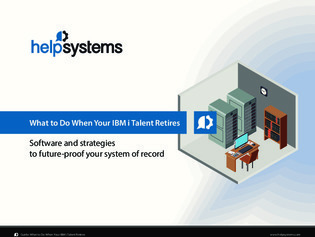 In this guide, find out how to plan your IT staffing and resource strategies around this new gap in IT skills, and ensure the exodus of any IBM i pros on your team is as smooth as possible.